Terry Crews: The Man's Got Talent Brooklyn Nine-Nine star and America's Got Talent: The Champions host Terry Crews reflects on his football career, activist work, and his breakthrough in Hollywood. 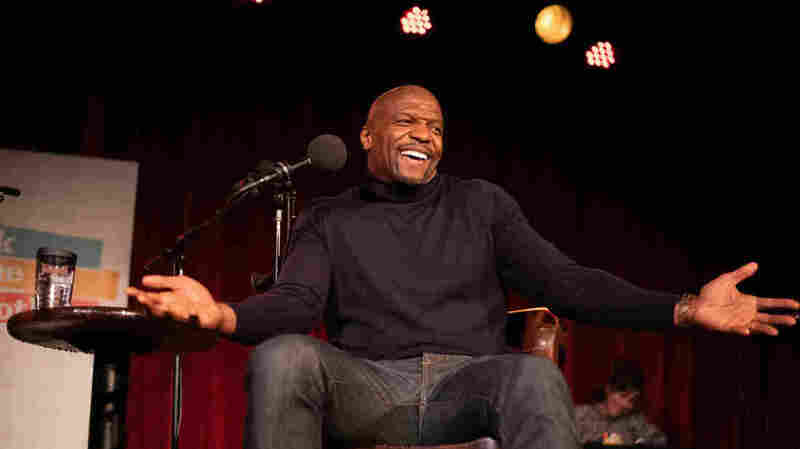 Terry Crews appears on Ask Me Another at the Bell House in Brooklyn, New York. Though Terry Crews, star of the Golden Globe-winning Brooklyn Nine-Nine and host of America's Got Talent: The Champions, is most known as a beloved film and television star, the actor took a circuitous route to get there. 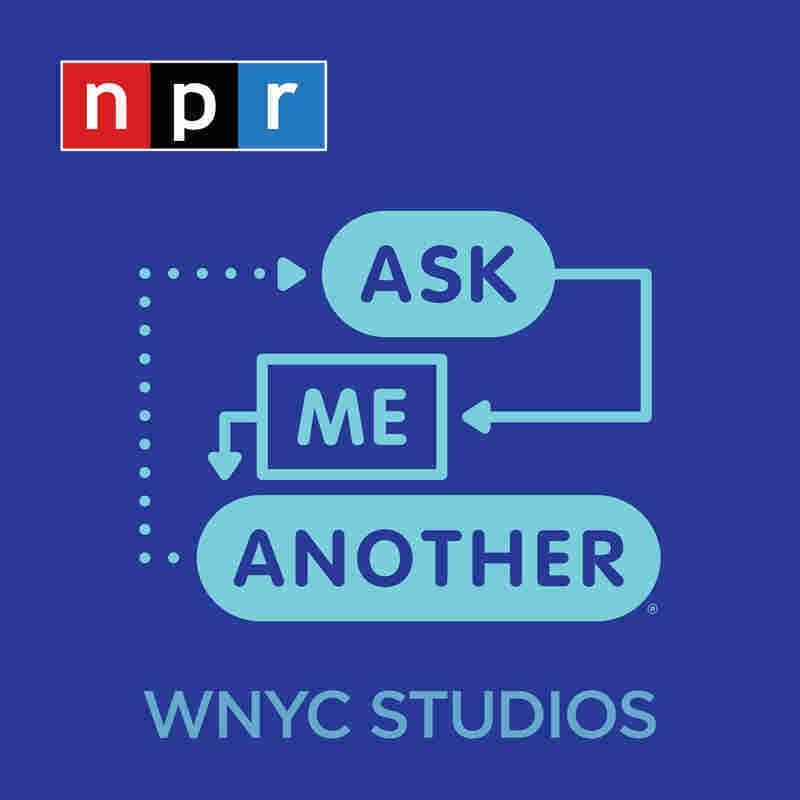 "I have had more experiences than people are allowed," Crews told NPR's Ask Me Another host Ophira Eisenberg at the Bell House in Brooklyn, New York. "I feel like I've lived 17 lives." Two of those lives began right out of high school. Upon graduating, Crews attended a six week program at Interlochen Arts Academy, attended Western Michigan University with an Art Excellence Scholarship, and walked onto the football team to earn a full-ride athletic scholarship. "I had to go through the whole Rudy thing. I was a big 'ol Rudy," Crews joked. After earning All-Conference honors and winning the 1988 Mid-American Conference Championship, Crews was drafted to the Los Angeles Rams in 1991. But his NFL career was tumultuous: Frequently cut, Crews spent three seasons in the NFL over seven years. "My NFL career was not glamorous at all," laughed Crews. "It was kind of like being a roadie in a band that was kinda never going anywhere." Crews, married in college and the father of two children, needed money. So he turned to his first love: art. While living out of suitcases, Crews offered to make portraits of his teammates for extra cash. "You gotta understand, athletes are very egotistical. So I was like, 'Dude, let me paint you over the city.' And they loved it," Crews said. When his NFL career ended, Crews and his family relocated to Los Angeles to be closer to the entertainment industry. "If you're broke, be broke near what you want to do," Crews said. "Because you can be broke anywhere!" Before delving into acting, Crews found steady work as a security guard on Hollywood movie sets, an experience he still cherishes. "I remember telling my wife, 'This is a wonderful job, because I get to be around it," Crews said. "I was happy. And if [my career] would've ended there, I still would've been happy." Luckily for Crews, his career was just beginning. His contagious enthusiasm and sheer magnetism attracted the attention of actors, directors, of casting directors alike. "When you're that happy, you don't stay where you are," Crews said. A friend offered him the opportunity to attend his first audition ever — a role on televised game show Battle Dome — and he got the job. Parts in blockbusters Training Day and Friday After Next followed soon after. While Crews' hulking physique opened doors to action films like The Expendables series and Deadpool 2, it initially made him an unlikely choice for comedic roles. "It was a foregone conclusion: If you get in shape, you will never be funny again," Crews said. "But I never wanted to be the badass." It was 2003's Malibu's Most Wanted that shifted his career towards comedy. "I remember I had one big line and I ad-libbed it, and they were like, 'Wait a minute,'" Crews said. Star Damien Wayans later recommended Crews for White Chicks, allowing the actor the chance to break the stereotype that strong men can't be funny. "I can keep the muscle and I can keep the laughs!" In addition to flexing his comedic muscles in hit TV series like Everybody Hates Chris, Are We There Yet?, and now, Brooklyn Nine-Nine, Crews used his celebrity and voice to tackle serious issues. He's been a vocal proponent of holding men accountable for inappropriate behavior, most recently cancelling an interview with journalist Touré after the latter was accused of sexual harassment. "When you're looking at the hierarchy, the people who are below are not believed. Black people are not believed, women, poor people, immigrants," Crews explained. "I'm standing on the side of the women. I'm standing on the side of the people who want their voice heard." Following his interview, host of America's Got Talent: The Champions Crews played "Terry Crews' Got Talent," where in-house musician Jonathan Coulton guessed which of the actor's possible talents — sketching, computer-building, and french pastry-baking — were real. "My mother said, '[Your great-aunt] bought you that flute, you're gonna play that flute.' I played the flute for seven or eight years. It's my own blaxploitation movie." "The biggest court case in Flint, Michigan history and the sketch artist couldn't make it... It was my first job in entertainment, actually." "We would watch the Carol Burnett Show and reenact all the skits. That's all I wanted to do. I remember never being more satisfied than entertaining and making people happy."